A pair of the bonded bald eagles returned to the their nest last October at the National Arboretum, a U.S. Department of Agriculture research and education facility and a living museum in Washington D.C. They started to raise a pair of eaglets and the D.C. live Bald Eagle Cam launched in February, 2016 with a 35-million viewership from 100 countries ever since. 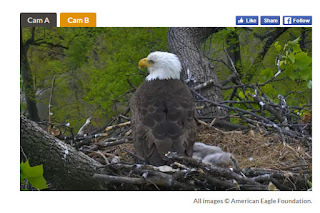 The mother eagle laid her first egg on February 10, 2016 and the second on Valentine’s Day, February 14, 2016. 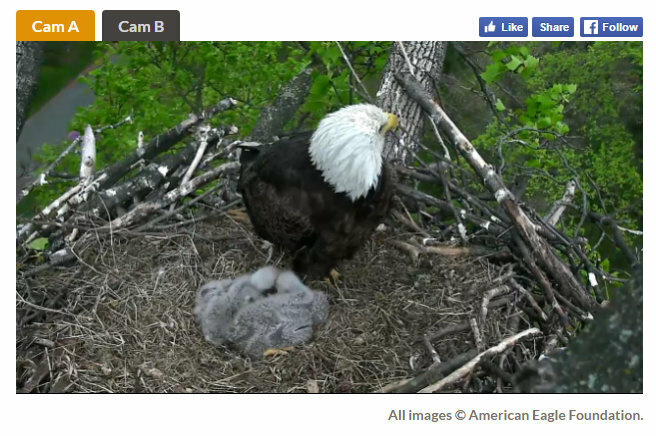 The first eaglet hatched on March 18, 2016, followed by the second on March 20, 2016. The baby eagles were named Freedom and Liberty during a ceremony at the National Arboretum on April 26, 2016. The names were chosen from 30,000 suggestions posted on social media. The other names proposed include Stars and Stripes. The bald eagle is the national bird of the United States. Thanks to protections granted by the Endangered Species Act, the magnificent bald eagle has recovered from the perilous situation it was in where the Act was enacted in 1973. 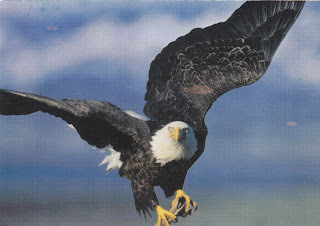 Based on this success, the bald eagle was removed from the Endangered Species List in 1999, and de-listed from the List of Endangered and Threatened Wildlife in 2007. The postcard was produced by Sierra Club. photo credit @ Theo Allofs.